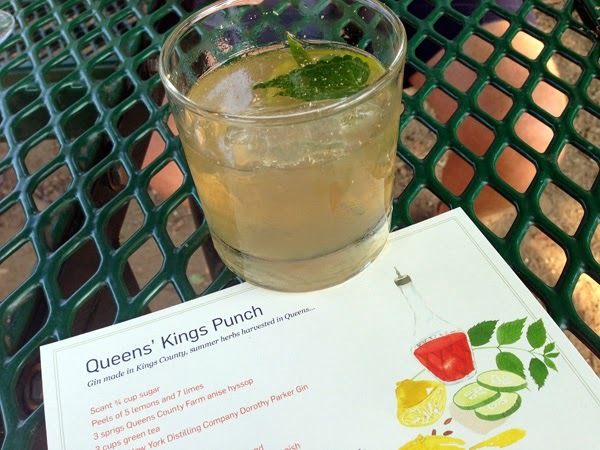 A Bar Cart in Brooklyn: Outstanding in the Field: Tickets on Sale Tomorrow!! Outstanding in the Field: Tickets on Sale Tomorrow!! It might still be freezing outside, but the first day of spring (tomorrow!) does bring with it some excitement that is not weather-dependent: Outstanding in the Field tickets go on sale!! 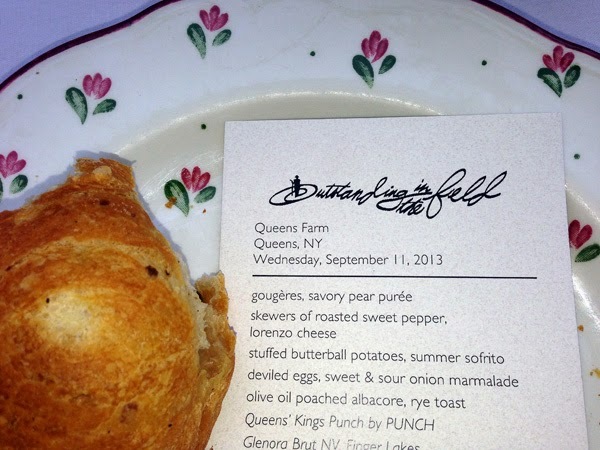 I attended my first of their dinners last year at Queens Farm in NY. It was one of the best culinary experiences I've had to date. It was a few weeks prior to the start of A Bar Cart in Brooklyn, so I didn't get the chance to tell you about it back then or share my photos. I couldn't possibly describe their mission better than they do, so here it is from their website: Outstanding in the Field is a roving culinary adventure – literally a restaurant without walls. 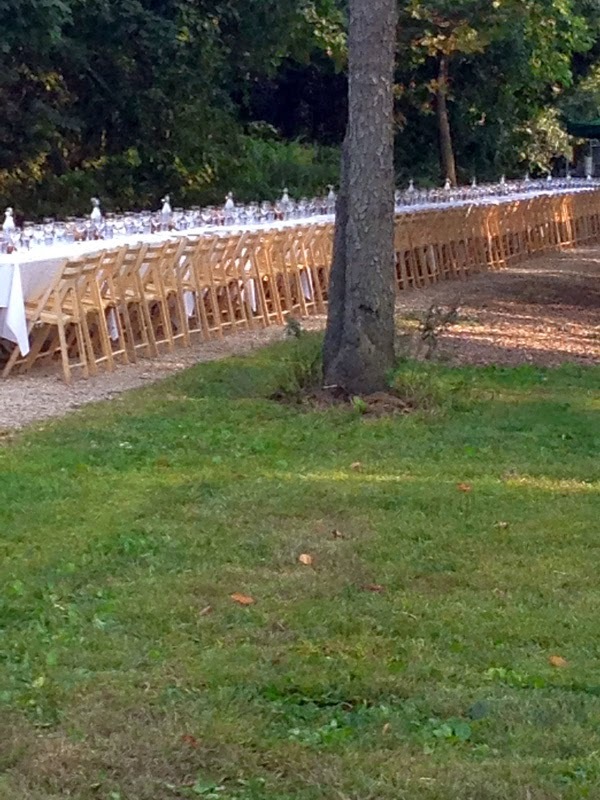 Since 1999 we have set the long table at farms or gardens, on mountain tops or in sea caves, on islands or at ranches. Occasionally the table is set indoors: a beautiful refurbished barn, a cool greenhouse or a stately museum. Wherever the location, the consistent theme of each dinner is to honor the people whose good work brings nourishment to the table. Our mission is to re-connect diners to the land and the origins of their food, and to honor the local farmers and food artisans who cultivate it. Ingredients for the meal are almost all local (sometimes sourced within inches of your seat at the table!) and generally prepared by a celebrated chef of the region. After a tour of the site, we all settle in: farmers, producers, culinary artisans, and diners sharing the long table. The dinner started with a reception featuring a cocktail infused with fresh herbs and topped with nutmeg grated into each individual drink. An impressive feat for a crowd of 156 people! PUNCH was there lending their expertise and mixing these up for us. After some incredible hors d'oeuvres and a farm tour, we were seated for dinner at one gigantic long table (pictured above) - again, set for 156. 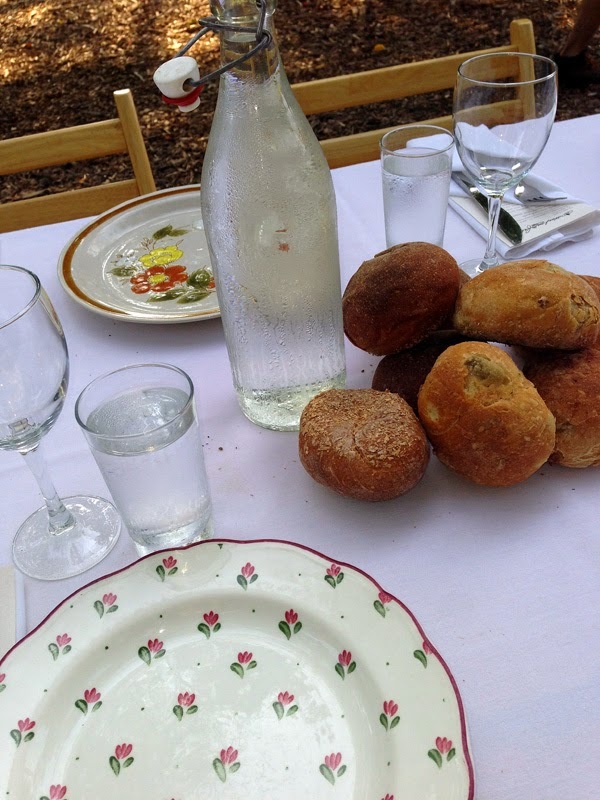 Guests are encouraged to bring their own plates for dinner - a tradition that began in the early days when OITF didn't have enough to go around. Your plate is washed and returned to you at the end of the evening. But if you don't remember to bring your own, there is a stack of pretty vintage china to choose from. I can't recommend this experience enough. Yes, tickets are pricey. But it's guaranteed to be one of the most memorable dinners of your life. I was lucky enough to happen to sit by some super fun people, who I keep in touch with still. We've formed what we call our "Supperclub" and have since gotten together for a dinner at the James Beard house! And we're coordinating schedules to have a reunion at another OITF dinner in September. This year's schedule has already been released. Tickets go on sale tomorrow at 2pm EST and locations near large cities tend to sell out VERY quickly, so set an alarm! (Or several alarms, if you're me).